It’s scary how many people I talk to fielding work calls and emails at all hours of the day. While on vacation, I will not check my email. I’ll make sure I have sufficient back-up and confidence in my team to handle anything that comes up in my absence. I won’t work weekends unless there is something out of the ordinary that necessitates cutting into my precious time with my family. I believe that someone else’s lack of planning does not constitute a crisis in my day and I have pledged to never be the cause of a crisis for people I work with because of my lack of planning. That would be disrespectful. I deserve and will take at least 10 or 15 minutes to eat my lunch. Whenever possible, I will go for a short walk at lunch to clear my head, and get a few minutes of exercise and fresh air. I will leave the office at a reasonable time each night so I can have dinner with my family. My productivity takes a nose dive about an hour after my normal work day ends, so it is not in my best interests or the best interests of my company for me to stay. I will work my hardest and uphold the highest standards of professional integrity. 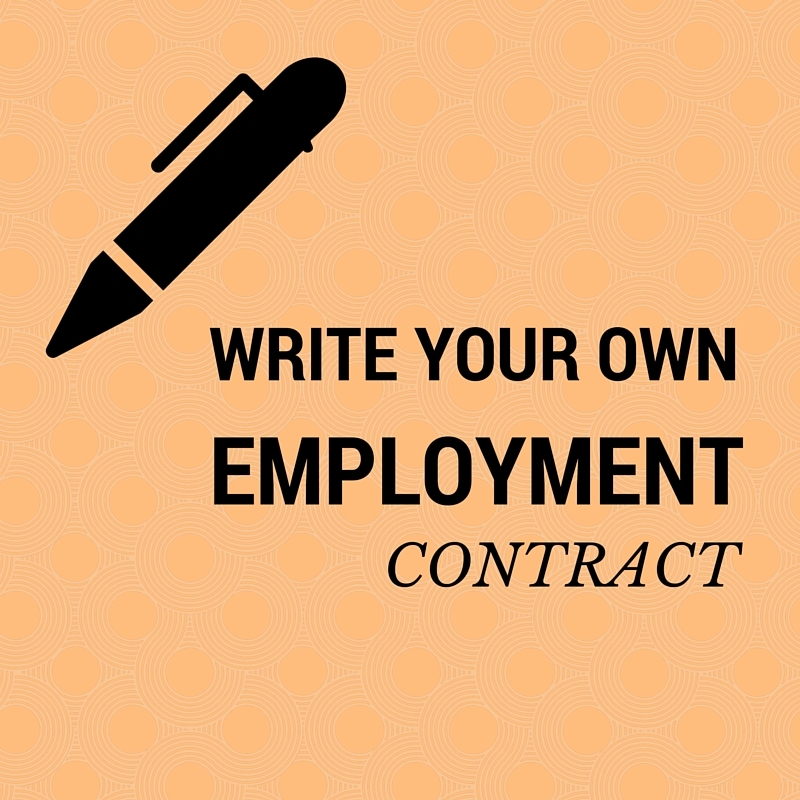 This week’s #HappyAct is to write your own employment contract. Do you think mine is realistic today, or am I a dinosaur? Leave a comment. I believe those are words of wisdom. Nothing is more important then the confidence of self worth and time with family. I hope everyone makes this their Mother’s Day gift to themselves, way to go Karen!